A PPC landing page is a standalone web page you intend to use in a paid campaign on AdWords, Bing, or similar. It’s a dedicated page where visitors ‘land’ after clicking through on a pay-per-click ad. 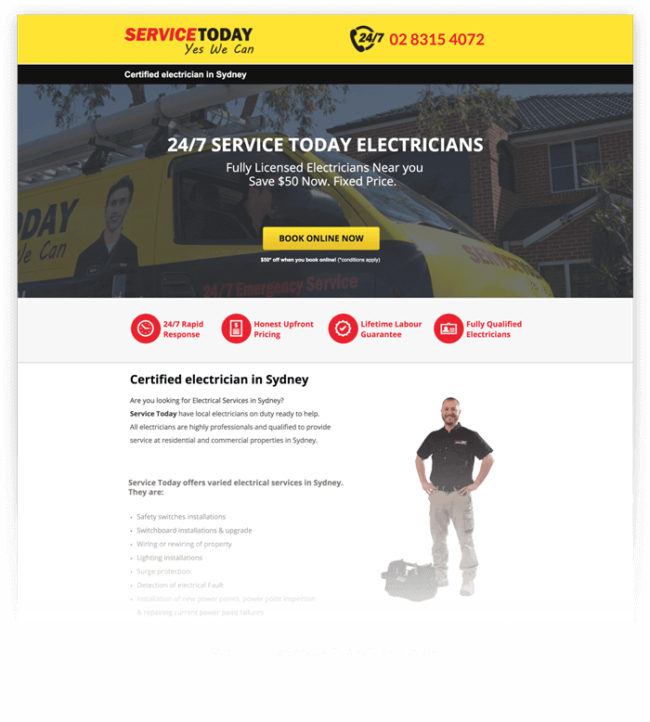 Particularly good landing pages for PPC typically contain just one focused campaign goal or objective known as a Call to Action (CTA). Their simplicity—and relevance—is what makes dedicated landing pages one of the best ways to increase conversions from your paid traffic and lower the cost-per-click of your PPC campaigns. For paid search, it’s recommended you direct traffic to a dedicated PPC landing page for a lower cost-per-click. 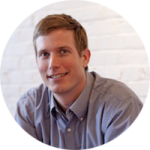 Why use landing pages for AdWords? The game-changing value of landing pages and why they work so well with ads really boils down to the difference between organic vs. paid traffic. That is—your website is mainly a means for attracting organic traffic. In this case, Google selects and serves up links on your site believed to be the best match for a given search query and these Google-chosen links are served up in the bottom half of the SERP (see section 2 in the image to the right). This organic traffic is largely why you need a terrific website optimized for search. 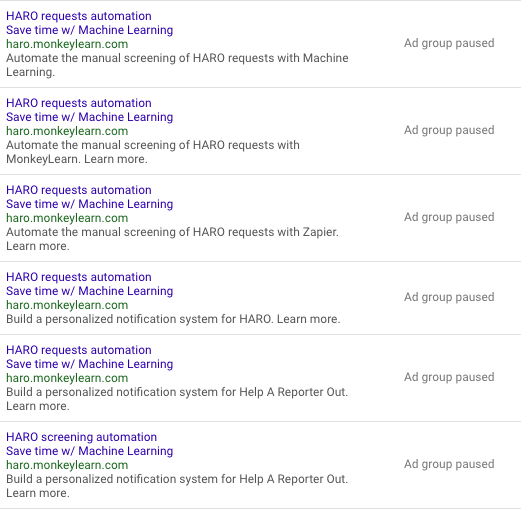 But with paid advertising on AdWords or Bing, you get to choose where to direct visitors (section 1 of the SERP). You can decide to link this paid traffic to your website’s homepage, for example, (and many marketers do) but this isn’t actually your best option when it comes to conversion. 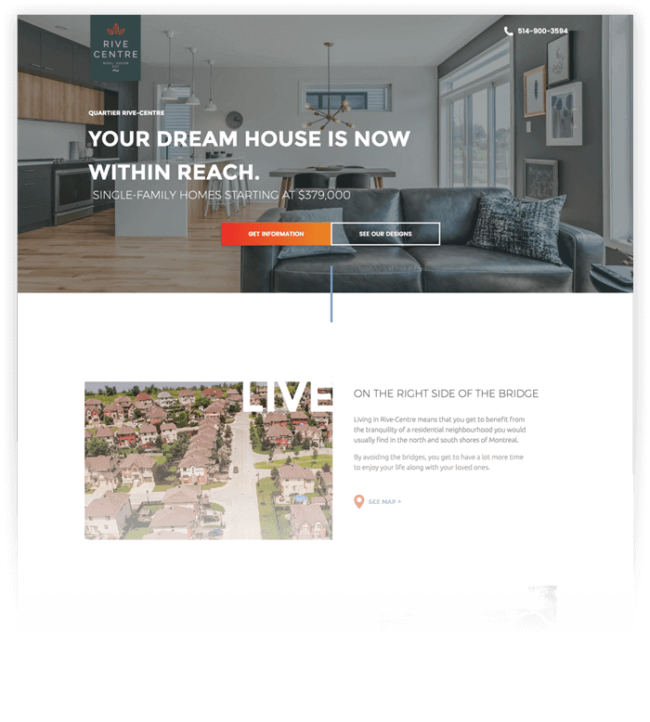 Content on your homepage—or even other site pages—often doesn’t match the premise of your ads in all cases and won’t always contain info or a call to action tailored to your initial ad campaign. As many advertisers eventually discover, paid traffic pointed to generic web pages (like a website homepage, for example) doesn’t convert well and can drive up cost-per-click. This is mainly because visitors often can’t find what they specifically searched for on the generic page and typically bounce more quickly (signalling to Goolge the landing page experience wasn’t very good). On the other hand, if visitors click through from an ad to a highly relevant landing page, they’re met with information that reinforces the promise of the ad, and they encounter just one call to action or next step to take. By simplifying the options available, you help ensure a smoother path to conversion. As pictured above, the website homepage doesn’t match the search ad’s intent or copy, and encourages exploration. 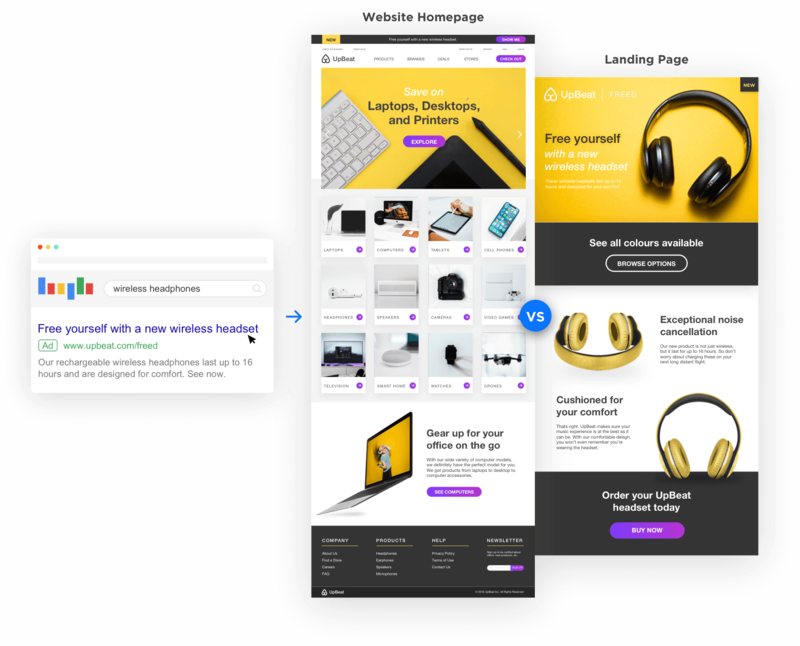 Whereas the landing page speaks specifically to the ad’s message and encourages conversion via just two focused calls to action. 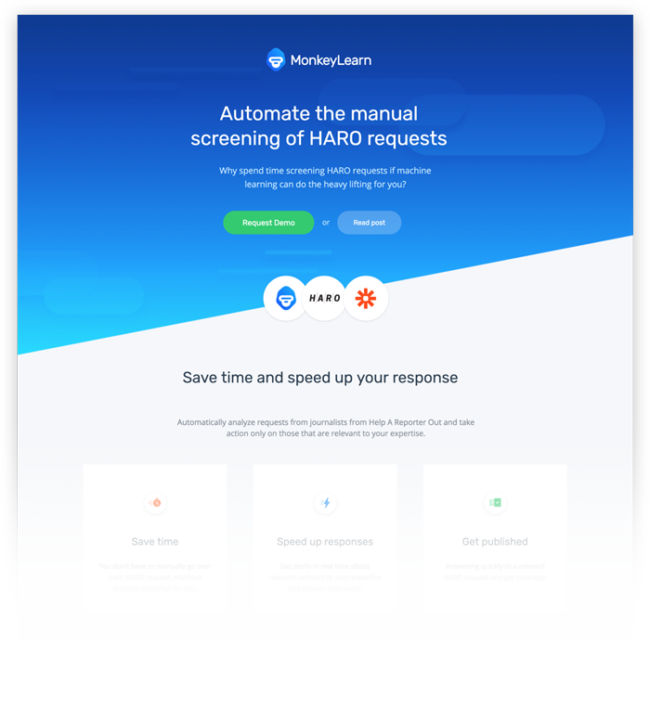 In fact, in an analysis of 455 pages put through the Unbounce Landing Page Analyzer, we saw on average, dedicated landing pages converted 65% higher than website pages. 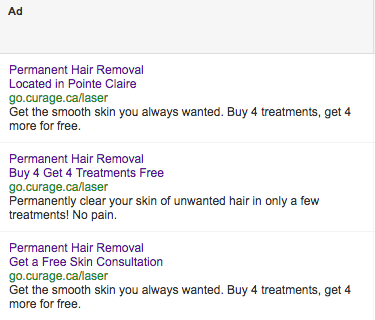 What do the best performing PPC landing pages contain? 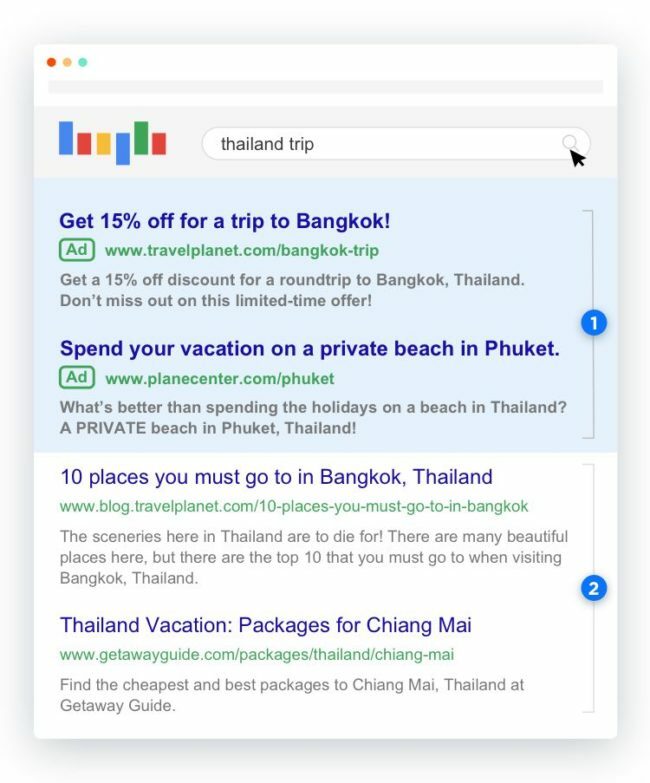 After deciding you’d like to lower your cost-per-click and get better ROI on your paid ad spend with ppc landing pages, it’s all about creating them. 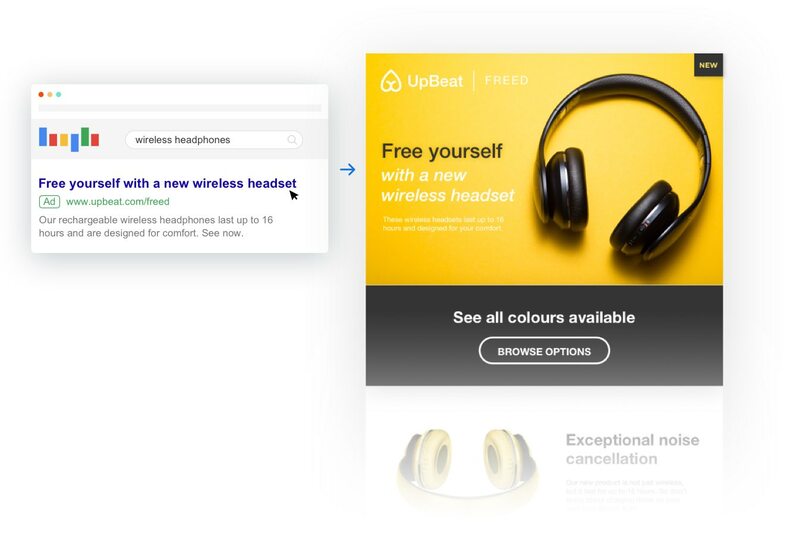 It’s one thing to know what elements go on a landing page for AdWords, but what do some of the best PPC landing pages actually look like in practice? 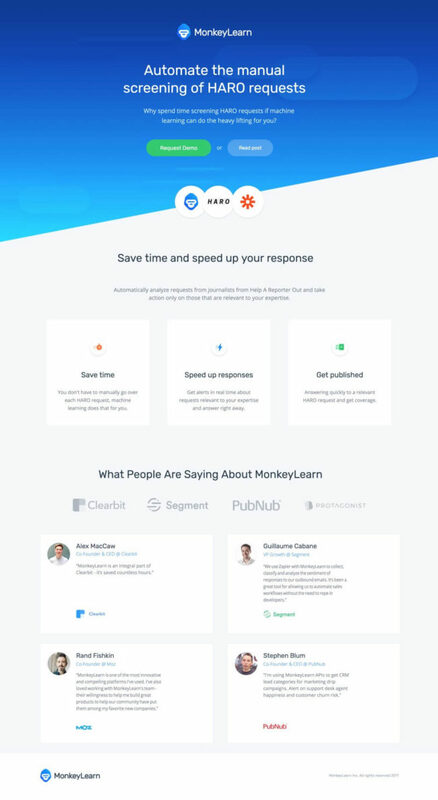 Fortunately 14,000+ amazing brands have been using the Unbounce landing page builder over the last eight years to create on-brand, high-converting masterpieces, so we have a lot of examples to share. Click the image above to see the full page.